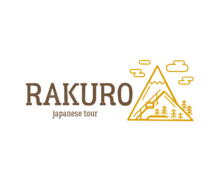 How To Create a Japanese Logo? A Japanese-style logo is the basis of a brand’s image and historical heritage. An exquisite hieroglyph-like graphic symbol indicates adherence to Asian traditions or a tie to Japan. A Japanese-style picture can be used by a translation agency, a sushi bar, a sword shop, or any other company focusing on those who love Asian culture. The logo can be used on letterheads, menu cards, corporate websites, products, business cards and promo flyers. Its use will depend on the specific character of your business. The letters should feature a simple design, clear writing, and an accurate shape. Brush-style lettering – like Asian calligraphy – is common. The choice of color is obvious: red. The Land of the Rising Sun has always been associated with the purplish-red tint of daybreak. In addition, black can be used. How do I create a Japanese logo for my brand?